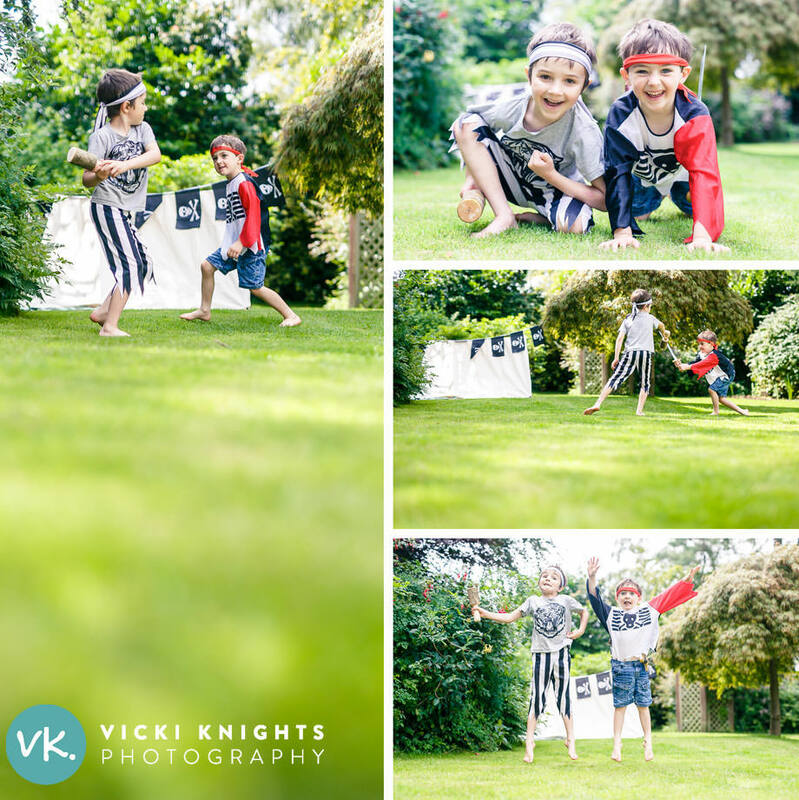 I was told today that I was the ‘best mummy in the world’ because I put up a pirate camp in the garden, dug out the pirate costumes and let my boys run around fighting each other while I took photos. Sometimes it really it the simple things that give the most pleasure to kids! Lie down on the ground. Yes really. Obviously with your tummy on the ground, not your back otherwise you’ll just get photos of the sky! I find that gardens aren’t the easiest place to photograph as you are restricted to a smaller space where the light may not be great, and you can’t get the separation between your child and the background that you can in a vast area such as a park. So you need to get a little creative in order to make your photos more interesting. Here are some photos of the boys this afternoon dressed as pirates (well kind of! ), all taken with me lying down on the grass with our puppy on my back…the things I do to get nice photos! If you’re wondering why my eldest has a wooden mallet in his hand, it’s what we used to bang the tent pegs in and then he wanted to play fight with it instead of a sword. I’m pleased to say no-one was hurt in the making of these photos! If you know how to control the aperture on your camera (which creates those lovely blurry backgrounds and foregrounds) then by lying on the ground, you will also get a lovely blurred grass effect at the bottom of your photo. You can see what I mean in my photos above, especially the photo on the left. So try lying on the ground when you next take photos of your children playing outside. Even if you aren’t shooting with a fancy camera, give it a go with your phone camera and see what difference it makes to your photos. I hope you love the results! PS. 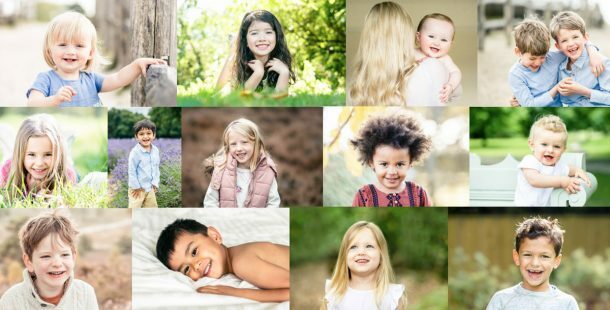 If you’re in Surrey or nearby, I still have a few spaces remaining on my next ‘Photography for Parents workshop’ in September in Cobham.